I remember the days where Passiona was a staple of mine, a drink full of refined sugar and probably no real passionfruit. 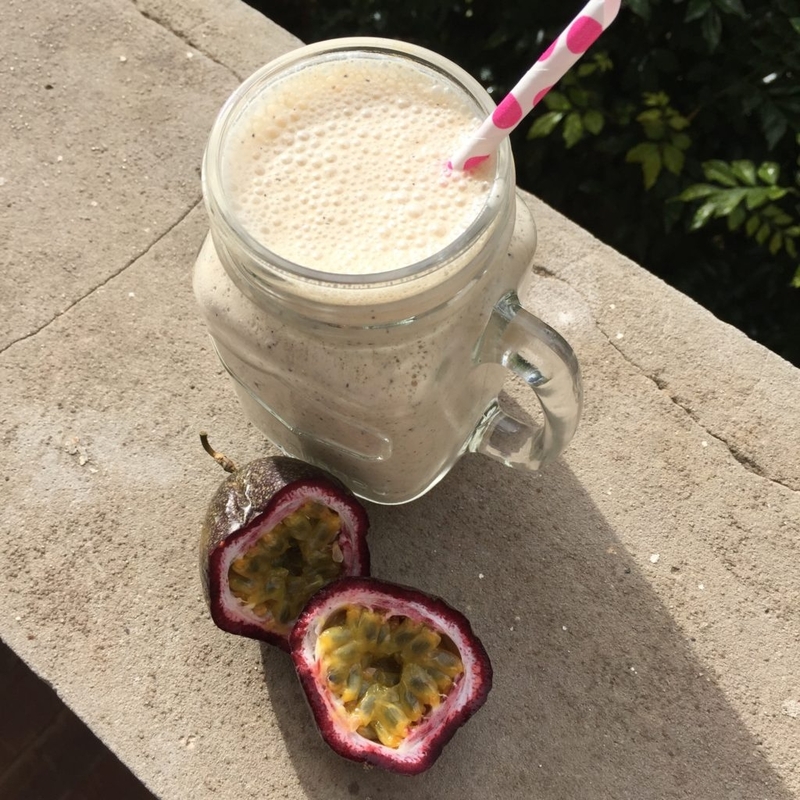 I challenged myself to create a smoothie that was going to be healthy and nutritious for me whilst still providing that passionfruit flavour I love so much.... and I think I have done it. It is subtle but it is there and together with the frozen banana and coconut yoghurt, I have all the natural sweetening I need.